We value sight more than any other sense. Sight is a central feature of our education and 90% of our social interaction. Yet despite this, not everyone takes care of their eyes. Research from RNIB’s State of the Nation Eye Health study for 2016 indicates that more than a quarter of adults in the UK have not had an eye test in two years. That’s 14 million people in the UK who could have an eye condition and not realise. In addition to telling you the state of your eyes and vision quality, eye tests can reveal much more about your general health. High cholesterol is commonly caused by eating poorly. Fatty foods, excess alcohol and snacking can all build up cholesterol in your body. High cholesterol frequently causes yellowish bumps to appear in the eyelids and white rings around the eyes. These are classic symptoms of high cholesterol levels in your body. If you start seeing such symptoms, we recommend you see a doctor. Red spots, caused by dots of blood in the eye, show up easy on any eye test. These dots are a sign of diabetes, one of the most common conditions in the UK. It’s caused by sugar blocking up the blood vessels in the eye and swelling up. They can even burst the tiny blood vessels in the retina, causing bleeding. If diabetes goes untreated, it can lead to impaired vision or even permanent blindness. By examining the blood vessels in your eye, you optometrist can identify evidence of high blood pressure, a condition that can go largely unnoticed for years among older people. Whether its ocular melanoma or retinoblastoma in children, an eye test can reveal the presence of cancerous tumours that can be caught early and taken care of before the tumour has time to grow. If you’ve noticed even a small change in your vision, talk to your optometrist. They’re here to help you enjoy healthy and clear vision, so let them know if you experience anything new. Be sure to also include as much information about your general health as you can. 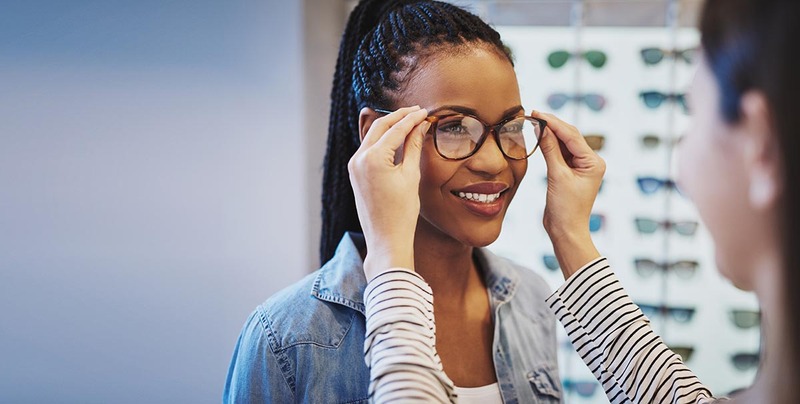 Activities like eating and smoking can also affect your visual health and your optometrist can help advise you on maintaining good eye health. With a regular eye exam you can discover so much more than whether you have 20/20 vision. The condition of your health can be right in front of you, and your optometrist is able to find it. Book an next eye test with your local Eyesite specialist today.